It's grey! I'm thinking grey with a little yellow mixed in would be "us," and after spending some time at West Elm and Ikea this week (more on that later), I was inspired by my first West Elm store purchase, which currently resides in the black-walled master bath. You know I can't resist a good zig zag pattern. 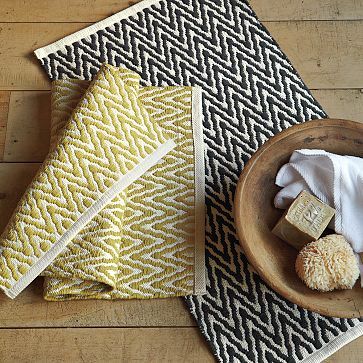 I bought the one on the left, which is a gold/yellow color. This photo does it no justice! 1. 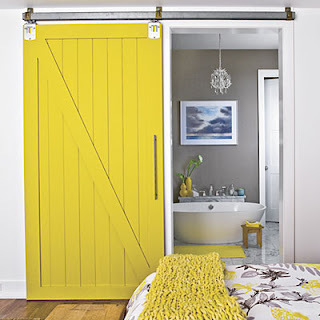 Not too overhwelming with yellows and greens. Like the use of white to keep things light. 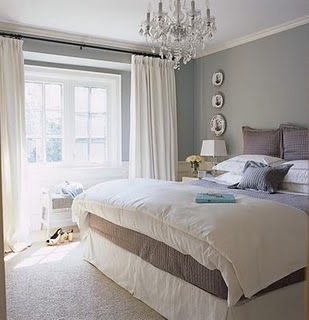 This room also shows that a taupe/beige rug can work reasonably well with the grey without looking boring. It doesn't look staged while looking complete and warm. Well done! 2. Possibly a little much on the neutral and whites, but a great chandelier. This one's a little too hotel-esque and need more personality! I don't get that warm-fuzzy feeling! though... too bright! Get me some thermal curtains and we're good! 5. Kate Spade. A little eclectic, but clean. 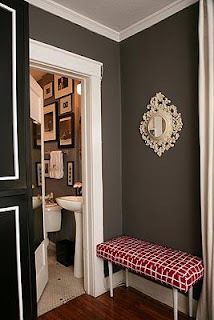 This shade of slate grey might be perfect!! I bet it's the perfect amount of preppy. 6. 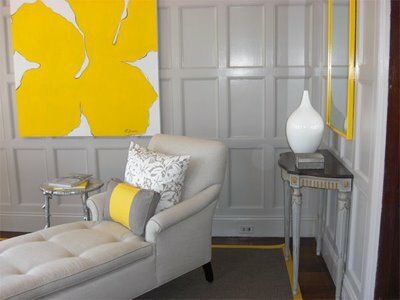 (Left) Grey entryway. 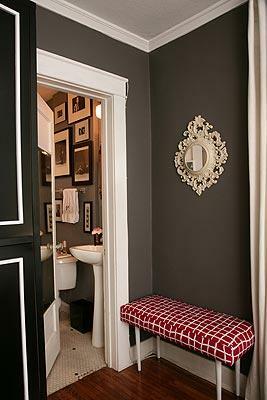 I never thought I'd like the way the red and grey go together... and I would bet that the bench was DIY-ed! Beautiful shade of grey for this space. where this designer's going. 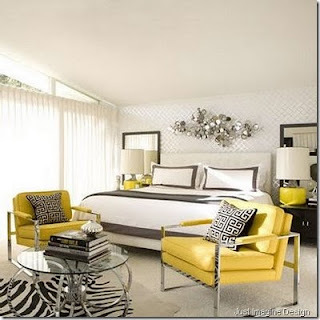 The mirrors behind the lamps are an interesting idea I'd like to try. put together the bedroom. I want that shade of grey! Heck, give me this whole room. But wait-there's more! 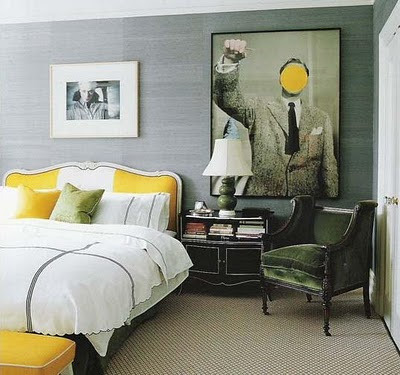 Have you seen my grey and yellow bedroom designed with Photoshop? See it here.